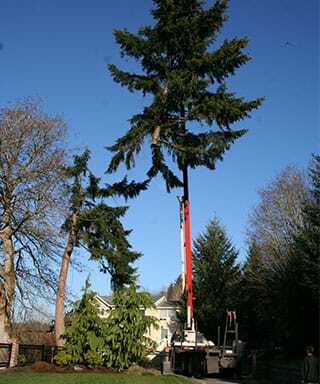 Tree & Shrub Removal | Bremerton, Gig Harbor WA | Archon Tree Services, Inc.
Our approach to tree and shrub removal is conservative with the goal of preserving the tree wherever possible unless a homeowner directs otherwise. Using state-of-the-art, specialized equipment and highly-skilled technicians to prevent property damage, we specialize in Zero Impact Tree Removal. Zero Impact Tree Removal techniques safeguard your property and ensure that your landscaping remains completely intact. That means no dents in the soil, no tree debris left behind, and no damage to your surrounding landscape. Our technicians are skilled and experienced in working at tree removal sites both small and large. Our Zero Impact Tree Removal is backed by our 100% Risk Free Guarantee.